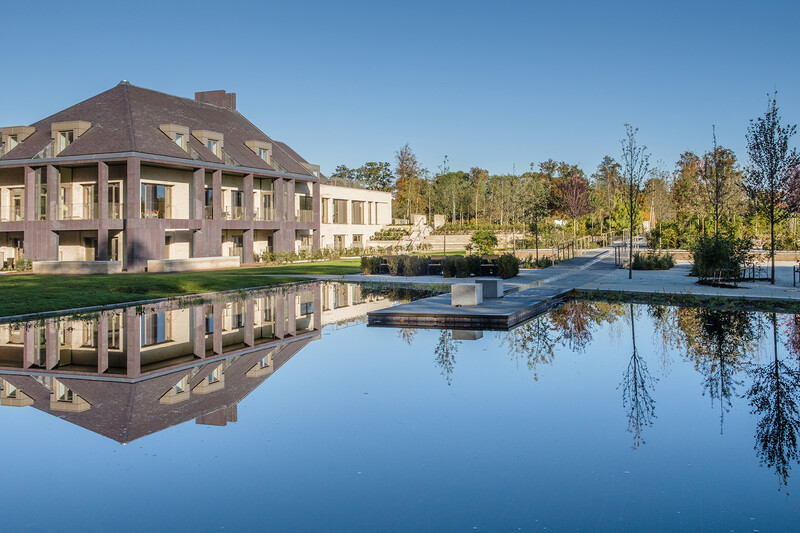 erz were appointed as landscape architects for the new Prince and Princess of Wales Hospice in early 2012. The project relocates the Hospice from its current site in Glasgow City Centre to Bellahouston Park. 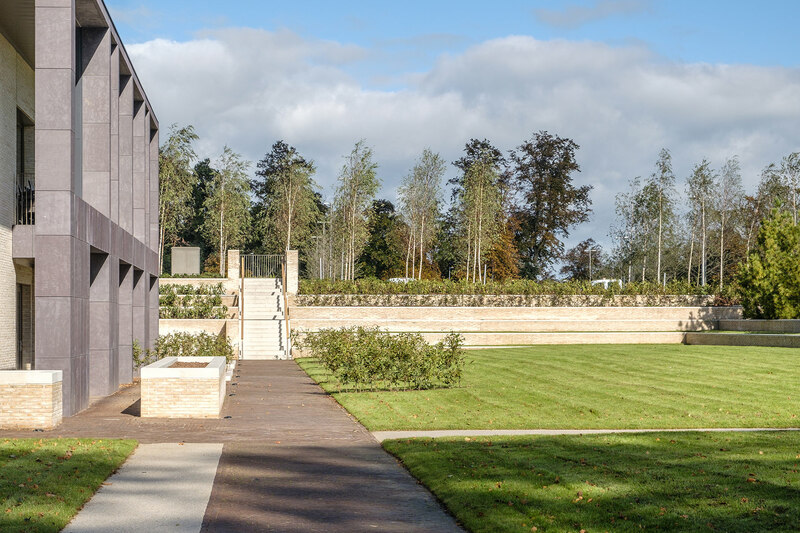 The new site offers the opportunity to create a purpose designed facility, seamlessly integrating the building and the landscape to provide a wide range of therapeutic spaces. 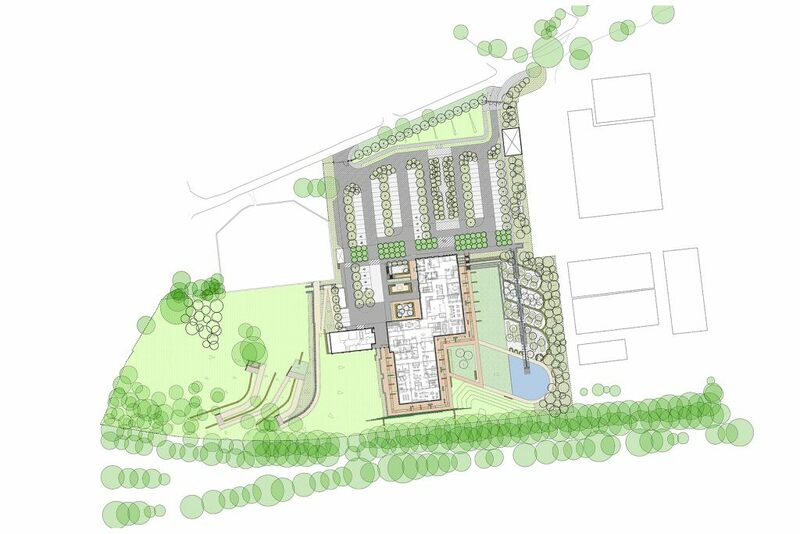 The landscape design was informed through consultation and close dialogue with the Hospice clinicians and management team. The Hospice’s ambition for the project was to avoid the institutional character typical of many health and care facilities. The design process examined how the Hospice currently functions, developing new ways that care could be delivered and discussing the benefits this could bring to patients, families and staff. The landscape design carefully manages the arrival and entry sequence, embedding the site parking within a strong planted structure and creating a human scale approach to the building. 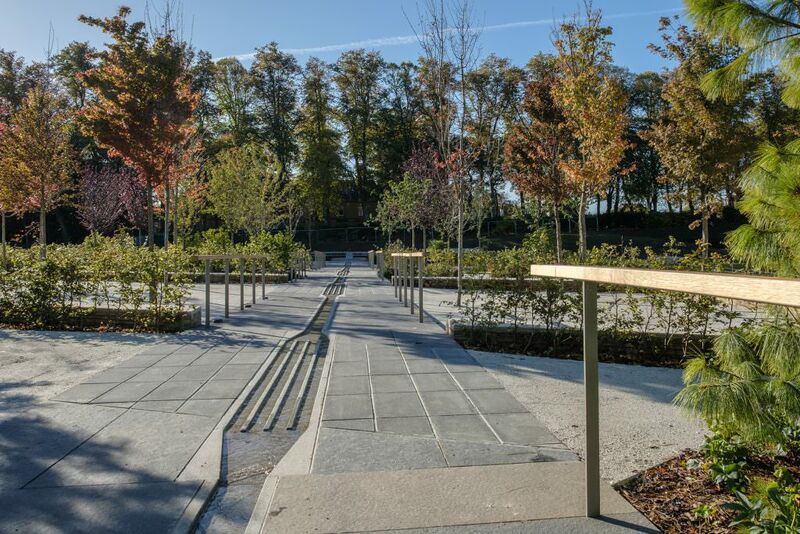 The lower portion of the site is designed to be fully accessible and incorporates a series of unique therapeutic spaces. 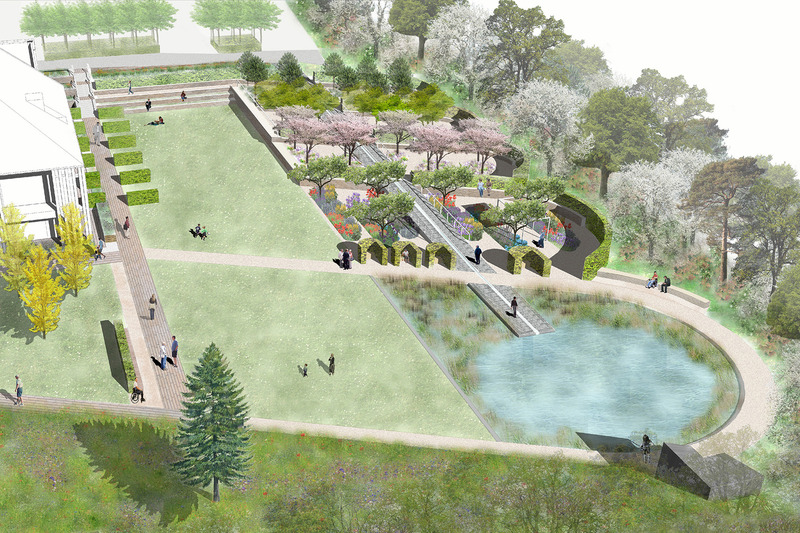 A series of ‘seasonal’ gardens are created as destinations within the landscape. 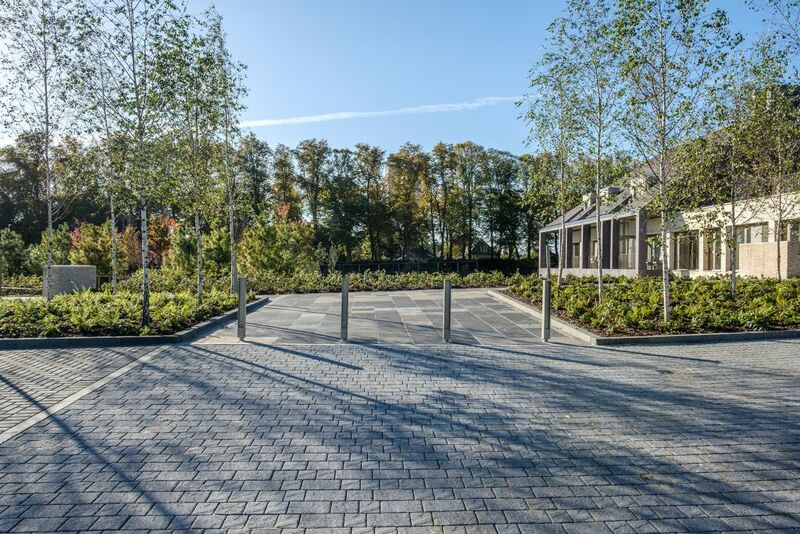 The seasonal gardens will ensure that whatever time of year a person is at the Hospice, there will always be a place to go that is beautiful. 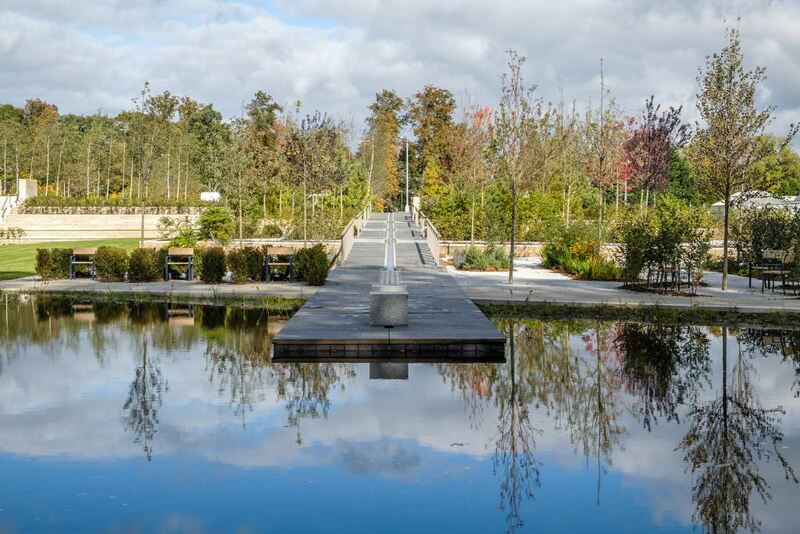 The gardens are organised around an axial path that enables one to stroll through the sequence of gardens and arrive at the pond area at the lowest point on the site. 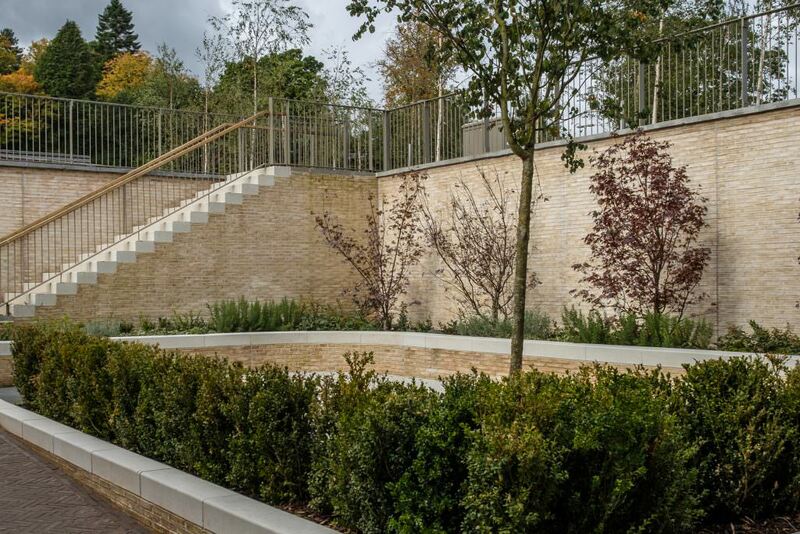 The axial path incorporates a ‘rill’, a small water channel that runs through the seasonal gardens to the pond. 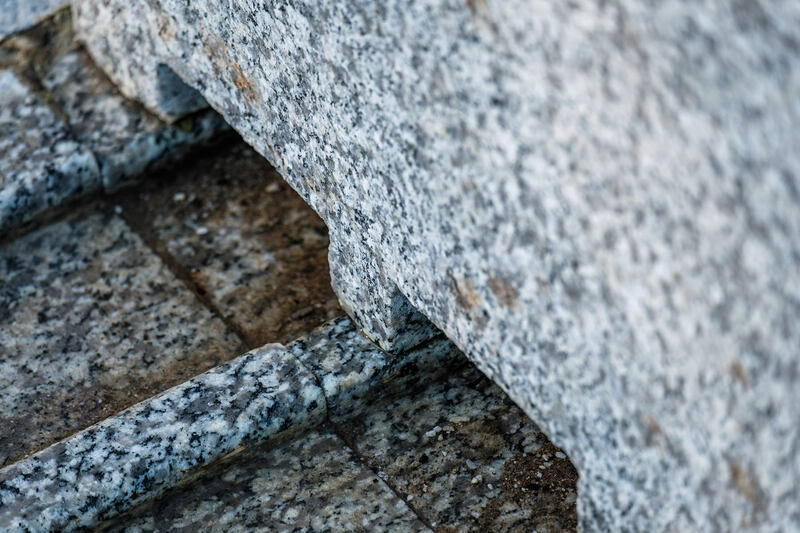 The rill brings the sound of moving water into the spaces. There are also spaces more closely associated with the building. 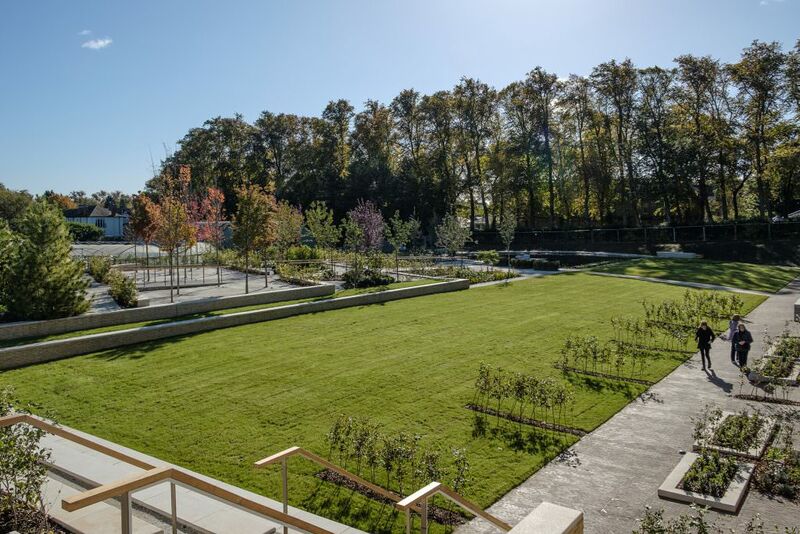 Private gardens are provided directly outside the patient bedrooms on the lower ground floor and the building is punctuated by shared courtyard spaces. The design incorporates a wide variety of spaces suited to the diverse needs of patients and visitors. Wider site walks and quiet spaces are provided on the hill above the building where an accessible path meanders up the hill, opening up wider views to Bellahouston Park and the city centre skyline. 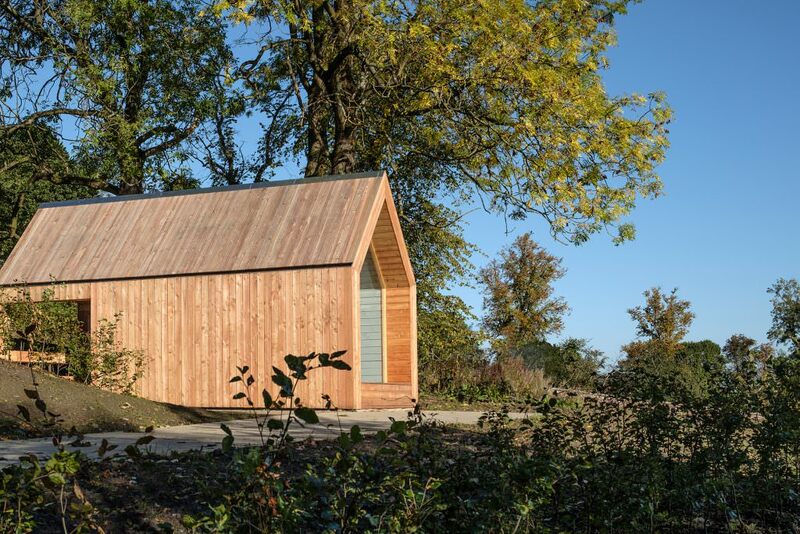 The path leads you to the hill shelter, a small timber building designed by erz that offers a discrete space for gathering or quiet contemplation.